Workshops led by guest clinicians, recitals and clarinet choir concert. CLICK HERE to download the complete festival schedule. Groups should submit one registration form for each person attending. 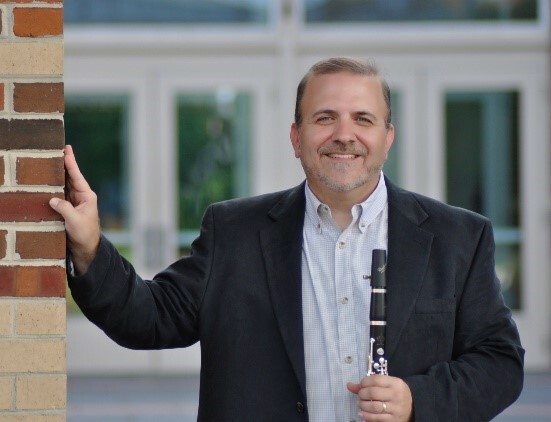 Robert DiLutis is Associate Professor of Clarinet at the University of Maryland and in his second season as Principal Clarinetist of the Annapolis Symphony Orchestra. DiLutis previously taught at Louisiana State University and held positions with the Rochester Philharmonic Orchestra, San Antonio Symphony Orchestra and Eastman School of Music. His recent recitals and classes have included the Cincinnati Clarinet Mini-Fest, Catholic University of America, Interlochen Arts Academy and Clarinetfest in Madrid, Spain. Born in Baltimore, Maryland to a family of musicians, DiLutis studied with William Blayney and later at the Juilliard School with David Weber of the NYC Ballet. In 1989 he made his Carnegie Recital Hall debut as the winner of the Artist International Chamber Music Competition. As a soloist, he has performed with the San Antonio Symphony, Rochester Philharmonic Orchestra and Baton Rouge Symphony. DiLutis has toured with the New York Philharmonic and is co-director of the Clarinet Academy of America. In addition to his performance career, DiLutis is the creator of the Reed Machine, a reed-making device used by leading professionals around the world. DiLutis is an Artist for Buffet and his new DVD/CD Clarinet at Maryland, is available at CDBaby.com. 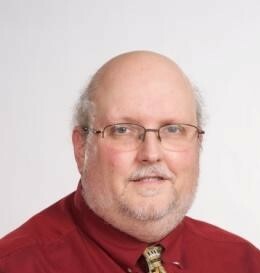 Dr. Karl Kolbeck is Associate Professor of Music at Wayne State College in Nebraska. His primary teaching responsibilities include applied instruction for clarinet, saxophone, double reeds and related courses. 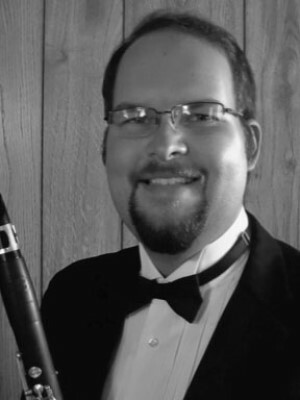 He holds a Bachelor of Arts degree from Adams State College in Colorado and a Master of Music degree from The University of New Mexico, both in Clarinet Performance. 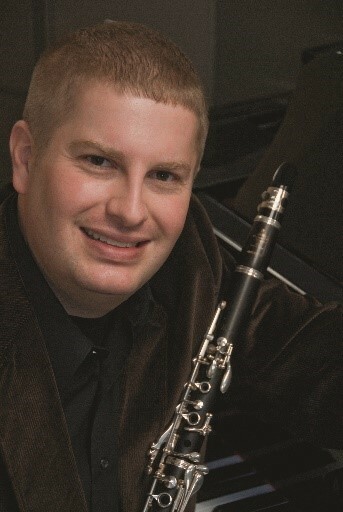 He earned a Doctor of Musical Arts degree in Performance from Texas Tech University, where he served as a graduate part-time instructor and sabbatical replacement instructor for the clarinet studio. Kolbeck is a Nationally Certified Teacher of Music in Clarinet through the Music Teachers National Association. His primary teachers include Dr. Barry McGinnis, Keith Lemmons, Dr. David Shea, and David Dees. Kolbeck has performed with numerous orchestras and other professional ensembles throughout Nebraska, Iowa, Texas, New Mexico, Colorado and Arizona. He currently performs with the Sioux City Rockestra, Sioux City Municipal Band, Crazy 8 Brass Band, Northeast Area Jazz Ensemble, Clarinet Spectrum, and has appeared with the Sioux City Symphony Orchestra. He is a founding member of the Black Box Trio, a group dedicated to performing chamber music written for violin, clarinet and piano. Kolbeck has also performed at conferences hosted by the International Clarinet Association, Dallas Clarinet Colloquium and the College Music Society. As a clinician and adjudicator, Kolbeck has made appearances at local, regional and state festivals and has experience as a public school music teacher at all grade levels, including general music, choir, band and orchestra. Kolbeck currently serves on the Nebraska State Board for MTNA as the Young Artist Solo and Chamber Music Competitions Coordinator. He has been a part of recording projects for Summit Records and Naxos and is an active member of the International Clarinet Association, North American Saxophone Alliance, College Music Society, Music Teachers National Association and the National Association for Music Education. Kolbeck is a D’Addario Woodwinds performing artist. Zachary Bond is a clarinetist and teacher with degrees from the University of South Carolina-Columbia (MM) and Newberry College (BM), and is currently completing his studies as a DMA candidate in clarinet performance at USC. His primary instructors include Joseph Eller, Dr. Barry McGinnis and John Bittle with additional experience garnered from numerous acclaimed artists, such as Steve Cohen, Robert Spring, Robert DiLutis, Fan Lei and Karel Dohnal. He also serves on the music faculty of the University of South Carolina-Aiken as Adjunct Clarinet Instructor and Lecturer in Introduction to Music and World Music. As an instructor in higher education, Bond teaches undergraduate applied clarinet lessons, holds seminars and masterclasses, instructs clarinet and woodwind chamber ensembles, serves as a Faculty Artist with the USC Aiken Wind Ensemble, and designs and leads non-major World Music and Introduction to Music courses, striving to deliver a student-centered approach to teaching. He is sought after as an adjudicator, serving as a member of The International Academy of Performing Arts and Sciences for the ENKOR Competition, the world's only online international solo and ensemble competition that critiques and awards chamber music group performances of students ranging from elementary to college level. He also has served as the woodwind and brasswind adjudicator for the SCMEA Solo and Ensemble Festival held at the USC School of Music. As a performer, Bond specializes in numerous performance genres and styles, ranging as a soloist to the orchestral, operatic, band, chamber and jazz settings. A member of the Aiken Symphony Orchestra, he has also appeared with the South Carolina Philharmonic, the Spartanburg Philharmonic, the Lake Murray Symphony and the USC Symphony, collaborating with major national and internationally acclaimed artists and groups, including Zuill Bailey, Vadim Gluzman, Natasha Paremski and the New York City Ballet, and with local performers, such as the Sandlapper Singers and the Dutch Fork Choral Society. Bond has also worked frequently with Teatro Lirico d'Europa, a world-renowned opera company, in performing Puccini's Turandot and Madame Butterfly, with additional performances of Bernstein's Candide and Donizetti's Elixir of Love with USC opera students. While a member of the USC Columbia Wind Ensemble, he has participated in performances for the 2013 CBDNA National Conference with a release of a CD, “And I Await,” released on Mark Records. Bond performs on a Buffet R13 Prestige Bb and R13 A clarinet, using the D'Addario Reserve X5 mouthpiece, D'Addario Reserve Classic reeds, with a Vandoren Optimum ligature. He resides in Prosperity, South Carolina.  Dr. Barry McGinnis is Professor of Woodwinds and Music History at Newberry College where he teaches woodwinds, music history and directs the woodwind ensembles and jazz combo. Prior to joining Newberry College, McGinnis served on the faculties of Georgia College and State University, Piedmont College, and Adams State College. He received the Bachelor of Science degree in Saxophone Performance from Towson University, the Master of Music-Woodwind Specialist degree from East Carolina University and the Doctor of Musical Arts degree in Saxophone Performance from the University of Georgia. His former teachers include Dr. Joseph Briscuso, Dr. Brad Foley, Dr. Kenneth Fischer and Dr. Theodore Jahn. McGinnis has served as adjudicator for various music festivals in South Carolina, Colorado, Maryland and North Carolina. He has performed extensively in both classical and jazz settings. Performances include regional and national meetings of the North American Saxophone Alliance and international meetings of the World Saxophone Congress, and he has appeared with the East Carolina Symphony Orchestra, the Gainesville Symphony Orchestra and the Augusta Symphony Orchestra. McGinnis is currently a member of the North American Saxophone Alliance, the International Clarinet Association and serves as state chair for the National Association of College Wind and Percussion Instructors. He is a member of Delta Omicron and Kappa Kappa Psi music fraternities and Pi Kappa Lambda music honor society. McGinnis and his wife, Amy, make their home in Newberry, South Carolina.